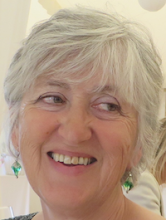 Sally Howe, heroine of Plotting for Beginners, has posted her last blog today. She's going into hospital for a partial knee replacement, and then - she says - she has to concentrate on finding an idea for her next novel, because she has finally been offered a two book contract, and so far she only has Fast Work to offer the publisher. It's sad to say goodbye to Sally, but I understand her problem. I, too, need to make room in my head for some new characters, and Sally keeps batting them away. She may be back in the future. I hope so. In the meantime, why not read her last post by clicking here.